Posted on 20, October 2016 by EuropaWire PR Editors | This entry was posted in Automotive, Germany, Technology, Transportation & Logistics and tagged cut on fuel consumption, Daimler Buses, EHPS system, electrohydraulic power steering. Bookmark the permalink. STUTTGART, 20-Oct-2016 — /EuropaWire/ — Daimler Buses is cutting buses’ fuel consumption thanks to electrohydraulic power steering (EHPS). The fully integrated system replaces the conventional power steering pumps used nowadays in all buses with a gross weight of over 7.5 t. Thanks to the demand-based actuation of the electric power steering pump, which had previously been powered by the combustion engine, steering assist can in future be used regardless of the engine speed. 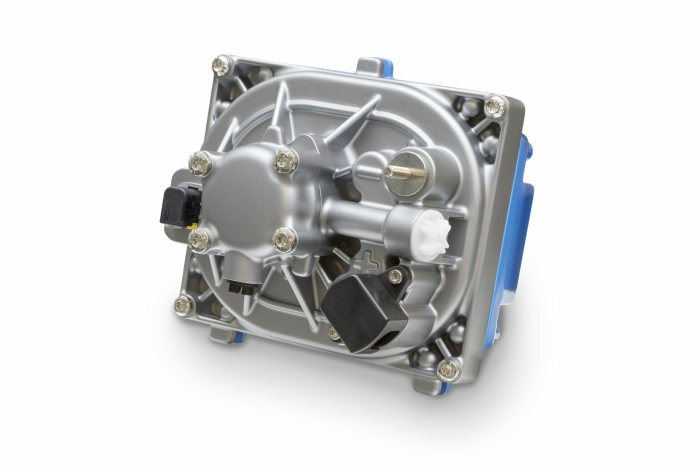 As a result of the conveniently positioned component in the vehicle, the unit, consisting of a three-phase current synchronous motor, control unit, high-performance electrical system and hydraulic pump in a single housing, enables simple visual inspections of the power steering fluid reservoir and its fill level. Short hydraulic pipes also make sure system-based friction loss is significantly reduced within the hydraulic circuit. The intelligent control system converts vehicle data to a demand-based actuation of the electrically operated 24 V pump – consequently, it provides the right amount of steering assistance depending on the driving situation. All in all, this adds up to a significant fuel saving. The system was developed in collaboration with the Engineering Center Steyr GmbH & Co. KG, based in the Austrian town of St. Valentin, and has already been awarded the “Innovation Label” by the specialist panel of the European Coach Week (ECW) at the international Busworld 2015 specialist trade fair in Kortrijk, Belgium. The plan is to offer the system for Mercedes-Benz Citaro city buses as optional equipment from mid 2017.